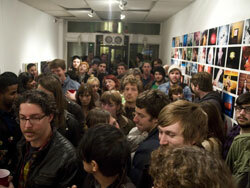 Ever Gold and Gerald emailed over some photos from last Thursday's opening of Soft and Wet, photos by Sandy Kim. Last Saturday Ever Gold here in San Francisco opened a new show of photographs by Sandy Kim. Below is a lil' taste.